Burnley lost their only previous opening weekend fixture in the Barclays Premier League (0-2 to Stoke in Aug 2009). 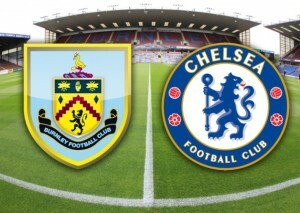 Burnley lost both games against Chelsea during their only previous Premier League season (2009/10). Burnley allowed fewer shots on target against them than any other team in the Championship last season (159). Jose Mourinho has seen Chelsea win on all five opening weekends that he has been manager. In fact, the Blues are unbeaten since 1998/99 on the opening day, winning 13 of 15 games (D2). Chelsea have won more points than any other team on the opening weekend of Premier League seasons (47). Cesc Fabregas has scored in each of his two Premier League appearances against Burnley. With a formidable squad, Chelsea are tipped to win this. Seeing the goals that has been scored in preseason and the bets on him scoring in this match, the signing of Cesc Fabregas, is really sinking in now. Costa is an amazing number 9, and not forgetting Drogba is back. It however would not be a walk in the park for them, but Chelsea should seal this with a 2:1 at final whistle. At the time of this post, NaijaBet is tipping Chelsea to win at over 100% and Burnley to win at over 800%. This entry was posted on Monday, August 18th, 2014 at 6:06 pm	and is filed under Chelsea, General, Match Preview, Premiership. You can follow any responses to this entry through the RSS 2.0 feed. You can leave a response, or trackback from your own site.